Is The Shiloh Shepherd The Ideal New German Shephard Strain? You are here: Home / Breeds / Is The Shiloh Shepherd The Ideal New German Shepherd Strain? What is a Shiloh Shepherd? The Shiloh Shepherd is a new breed of dog bred from the German Shepherd. They are intended to be healthier and more moderate in terms of temperament. They grow up to 30 inches tall and weigh up to 160 pounds! He is still considered to be under development in the US. This means that there is still much to learn about him in regard to temperament, health issues, lifespan, and more. This breed is so new that he has yet to be recognized as a standardized breed by any major kennel club. He has been most closely compared to the German Shepherd, even occasionally called the Shiloh German Shepherd. He is a bit larger and is said to be more docile. Because there is still so little in the way of scientific research done on the Shiloh Shepherd, it’s important to keep in mind that any information or ‘facts’ stated about this breed from articles or even breeders should be taken with a grain of salt. Remember, it is just too early to tell for certain exactly what we are dealing with when it comes to a Shiloh Shepherd! Still, based on the information we can gather, we are able to compile a list of likely temperamental traits, physical characteristics, and even some health issues to be aware of when considering adding the Shiloh Shepherd to your household. We will also delve into a bit of the Shiloh Shepherd’s history in hopes of learning even more about this unique new dog breed. The Shiloh Shepherd originated in the United States and was bred mostly for his intelligence, gentle temperament, and large size. The history of the Shiloh Shepherd is rather endearing, revolving around childhood memories and the fondness for one’s homeland. The creator of the Shiloh Shepherd is a woman by the name of Tina M. Barber, who founded the Shiloh Shepherds’ Kennel out of New York. Barber was born and raised in Germany. In 1974, she began developing a new dog breed that reminded her of dogs from her childhood. Specifically, Barber wanted to cultivate a breed that was not only a wonderful family and companion dog, but who was also larger in size, very intelligent, and maintained a sound mental and physical state. In 1990, Barber separated from the American Kennel Club (AKC) and it wasn’t long after that that the Shiloh Shepherd Dog Club of America (SSDCA) was created. By 1991, the International Shiloh Shepherd Registry (ISSR) was established, taking over the registry functions of the Federation of International Canines (FIC), which was the first federation to recognize the Shiloh Shepherd as its own breed. Today, the Shiloh Shepherds Club is the only approved parent club for the breed. Although there is still much to learn about the Shiloh Shepherd, we can say for certain he is a descendant of the standard German Shepherd. He is said to have a much more docile temperament. In fact, it is said that the Shiloh Shepherd is the least territorial of the shepherd breeds. For the most part, they are known to be loyal, outgoing, and incredibly friendly dogs. They have been bred specifically to be companion dogs, and for this reason, it is reported that they are excellent with children and other household pets, displaying a gentle and patient demeanor. Shiloh Shepherds were also bred for their intelligence, so it has been reported that they excel in obedience training and even make wonderful service animals. Regardless of this breed’s stellar reputation, we like to recommend early socialization with any dog breed to ensure a happy and healthy relationship for everyone involved. Shiloh Shepherds are no exception! The Shiloh Shepherd is a very large dog built for strength and elegance. He displays an almost regal nature, with an intelligent, friendly face and bright, brown eyes. A full grown female Shiloh Shepherd will be 26-28 inches tall, while a male will grow up to be around 28-30 inches tall. The female Shiloh Shepherd will weigh between 79-120 pounds, and the male will weigh in at an impressive 120-160 pounds. It is said that by breed standards, the Shiloh Shepherd’s large size should not impede his ability to move with fluidity and grace. Two distinct coat types are reported for the Shiloh Shepherd, including the Smooth or “Double Coat,” and the Plush Coat. The Smooth Coat is medium in length and lies closer to the Shiloh Shepherd’s body. It is said to be thick and dense with a harsh, wiry feel. The Plush Coat, on the other hand, is longer, with a soft undercoat and a mane that reaches around to the Shiloh Shepherd’s chest. The Plush Coated Shiloh Shepherd should also have feathering inside his ears and behind his legs. Shiloh Shepherds come in a wide range of colors and can be dual-colored or solid. The level of grooming maintenance will depend on the coat type of your Shiloh Shepherd. Both the smooth coats and the plush coats shed heavily. However, the smooth coats are said to shed more than the plush. The plush coats are longer and will, therefore, require more brushing and grooming to keep from becoming matted. Anyone interested in a Shiloh Shepherd should keep in mind that the high-level of shedding in this breed is one of the main reasons the dogs are turned over to shelters. For this reason, a prospective owner should prepare for consistent grooming and lots of vacuuming! The Shiloh Shepherd does have a weather-resistant coat, however, and will only need occasional bathing to maintain clean and healthy fur. A prospective Shiloh Shepherd owner should also be ready to clean their Shiloh Shepherd’s ears regularly to keep wax and moisture at bay. The Shiloh Shepherd will also need his nails trimmed weekly to avoid splitting and cracking. The Shiloh Shepherd is said to make an excellent family and companion dog. As previously mentioned, though, we always recommend early socialization and proper obedience training with any breed. Because the Shiloh Shepherd was bred for his intelligence and loyalty, one can expect an incredibly trainable dog who enjoys learning and pleasing his human companions! The Shiloh Shepherd has a reputation for being calm and mild-mannered, but he can be prone to obesity if not properly exercised. Keep in mind the Shiloh Shepherd is a larger dog breed and will, therefore, require adequate walks and play to keep his muscular frame in proper shape. The Shiloh Shepherd was built for endurance, so long hikes or walks will be the best type of exercise for this slow and docile dog breed. Because this breed is so bright, it’s important to keep him mentally stimulated to avoid boredom. Trick-training and dishing out specialized “doggie jobs” for your Shiloh Shepherd to complete are both great ways to keep this breed mentally sound! Always be sure to keep training positive and fun. Remember, training can make for a wonderful bonding opportunity and can help foster trust between you and your best friend! Much like his German Shepherd predecessor, a healthy Shiloh Shepherd should have a lifespan of 9-14 years. Because the Shiloh Shepherd is a relatively newer breed, there is a possibility that he has some health issues we still don’t know about. It’s important to note that Tina Barber did breed these dogs with the intention of reducing major health issues to which the purebred German Shepherd is especially prone. Barber was successful in many areas, especially in reducing numbers of inheritable hip dysplasia in the Shiloh Shepherd as compared to the German Shepherd. But it is still impossible to completely eliminate health defects in any breed. Therefore, it’s important to know what the Shiloh Shepherd could be predisposed to in the future. As a large dog, he is going to be subject to the same types of health ailments as other larger dog breeds. These health issues include hip dysplasia, panosteitis, megaesophagus, exocrine pancreatic insufficiency, small intestinal bacteria overgrowth, subaortic stenosis, ventricular arrhythmia, and bloat. As always, we recommend researching the health issues of your desired dog breed, regardless of what it is. Remember, early health screening in your pup can help avoid or prepare for future health issues he may encounter. Keep in mind that reputable breeders will be able to provide certificates regarding the health of their litters, proving they have been screened and cleared of certain health defects. Because the Shiloh Shepherd can be predisposed to overeating, obesity, and bloat, it is important to implement a healthy diet and exercise plan. We suggest a high-quality brand of dog food as recommended by your veterinarian. Also, make sure to offer the proper measurement of food each day dependent on your dog’s specific weight and size. This will eliminate the risk of overeating, and it will be easier for your dog to maintain a healthy weight and keep him feeling his best. By all accounts, the Shiloh Shepherd is a gentle giant who does amazingly in homes with children of all ages and even other household pets. He will do best in homes of those who don’t mind shedding, and those who have the ability to take their pet on routine walks or jogs. Keep in mind the Shiloh Shepherd also requires mental stimulation, as mentioned above. So an ideal owner should be ready and willing to train their dog and offer him “jobs” to complete in order to keep him happy. If you don’t mind a bit of loose hair on your clothes and furniture and are willing to have a potentially 160-pound lap dog, then the Shiloh Shepherd might be the perfect match for you! Getting your Shiloh Shepherd from a reputable source is of the utmost importance. We recommend doing plenty of research before you decide where to get your new buddy. One possibility is searching for a rescue in your area. Shelters carry all types of breeds and crossbreeds. However, finding the Shiloh Shepherd at a shelter could be hit or miss, depending on what’s available at the time. Unfortunately, these dogs do wind up in shelters, primarily because of their shedding, so there is a possibility one could be there just waiting to be adopted by you! Keep in mind that most shelters do incur fees. But they are often a fraction of what breeder’s charge. You should prepare for most adoption fees to be anywhere from $50-$100. Most shelters do cover initial vet fees, ensuring the dog is adoptable and ready for his forever home! If you are seeking a dog from a breeder, expect the Shiloh Shepherd price to be anywhere from $800 to over $1,000 depending on the breeder and the parent history. 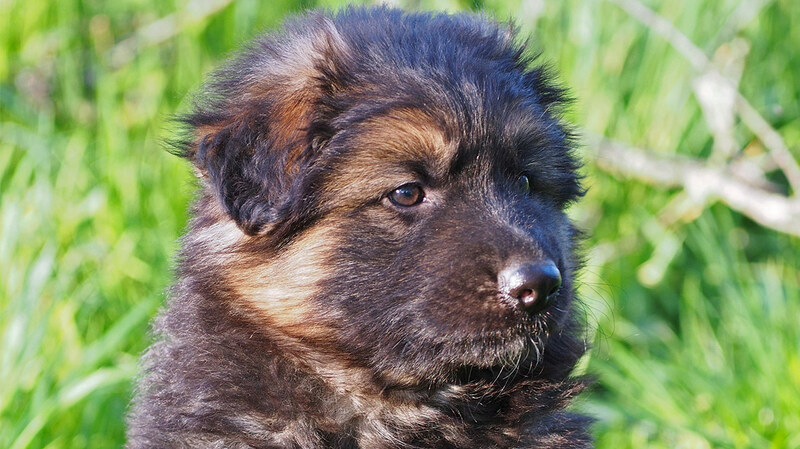 A benefit of buying from a breeder is the ability to have a thorough look at the health and temperamental history of the Shiloh Shepherd’s parents and previous litters. Make sure to ask your potential breeder about any temperamental issues with the parents or previous litters, as well as any health concerns that have arisen in the past. As mentioned above, reputable breeders will be able to provide certificates proving their dogs have been health screened. And remember, the Shiloh Shepherd is a very new breed, so take what breeders say about them with a grain of salt. Do your research, especially when it comes to temperament and health of this breed. However, based on the information gathered so far, it would appear that the Shiloh Shepherd makes an excellent family pet who is known for his intelligence, loyalty, and friendly nature.